Sorry it's a bit late, I was planning to post this last week but I got busy with work and other stuff, and ran out of time. It's been a long time since I post something this cute, I like to make things for other people. It's fun to see their faces all lid up when they get a little thank you from me. I actually made this last year, when I was shift manager. 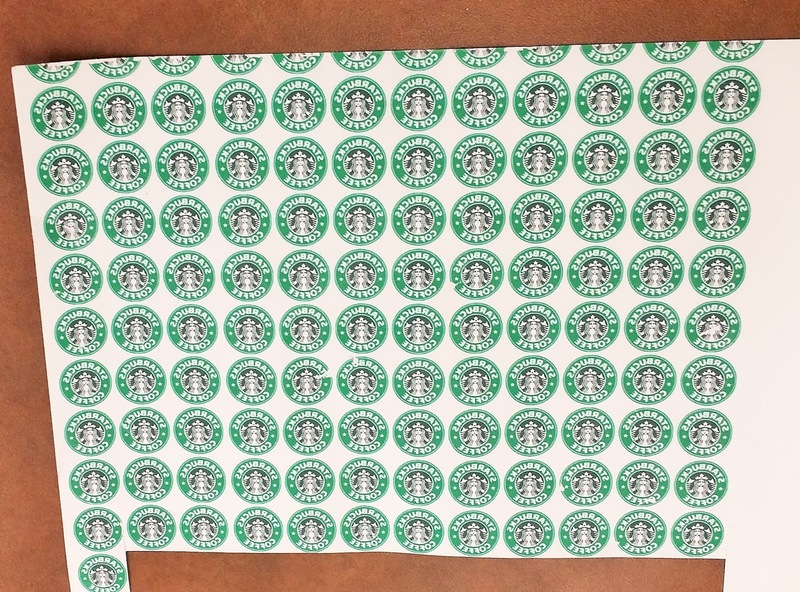 I wanted to give a gift card to my co-workers. But I end up finishing half way like the rest of my crafts and stash among my other un-finished projects. Finally! I completed them last weekend, yay! I was so excited to actually get something done. 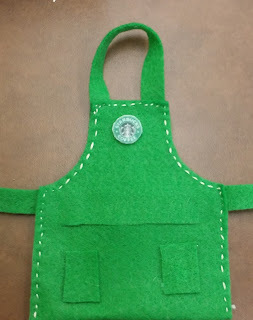 It was pretty easy, I found the apron template here and an example of a starbucks logo here (I appreciate the sites I used and letting me use their images to make this little apron, thank you!!) . I used felt (I bought at any craft store that sells felt), I thought it would be easy. 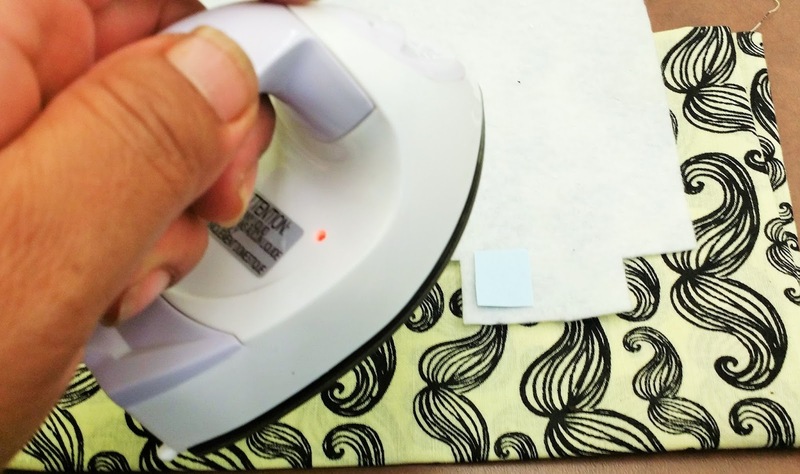 I actually used a sewing machine, but it kept bunching up. 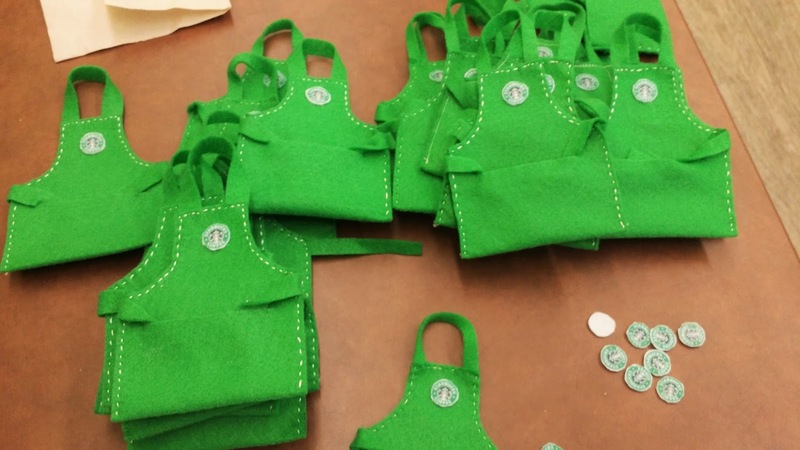 I end up hand sewing all twenty-five aprons. I guesstimate the string and loop for the top. It was kinda a stress relief but getting towards the end I wanted to be done. 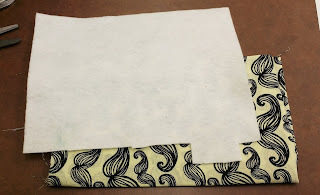 I used a fabric transfer found at any craft store, Just remember that there are two different kinds of transfer for fabric light and dark. I bought a transfer for light fabric. When I printed out the image, I had some trial and errors. 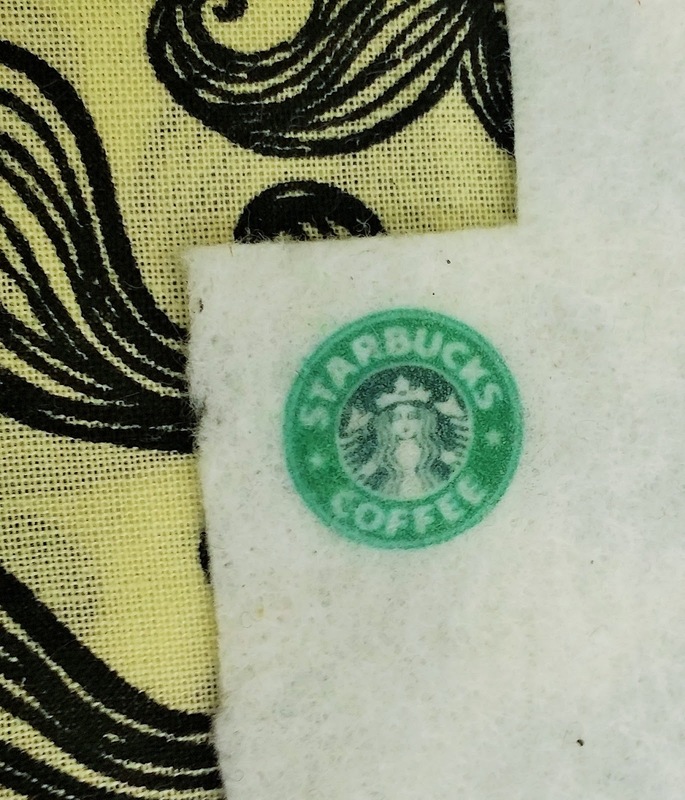 If you want perfection, I would totally use it on white fabric not felt. I tried printing all at once but it was mess, I had to cut one-by-one. I didn't really care at this point I just wanted to be done. I had a little craft iron I had for awhile now I didn't want to lug a bigger iron with me just for this small of a project. 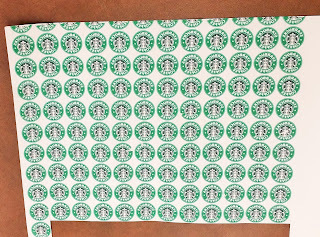 So I cut one-by-one and press and lift the image when it was still hot because when it start cooling off the image wasn't that clear and wouldn't come off the backing. So kinda had to be quick, place the image down and press and lift the backing unto the next. 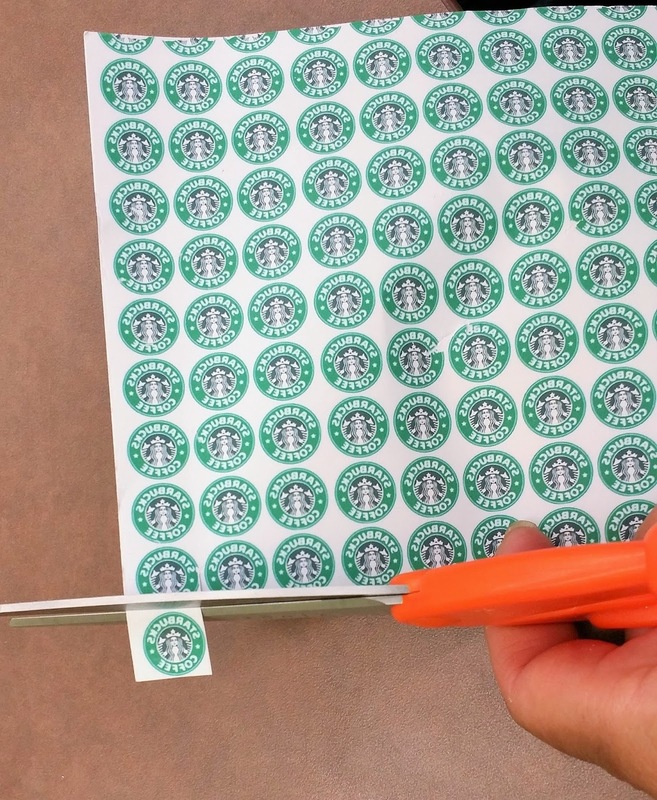 Afterwards I cut the logo out, that was a challenge because there were small and I felt like I had huge giant hands. I just used some tacky glue to adhere to the felt. For the pockets I just cut out some green squares and used the same tacky glue and I was done. The way I explain it might sound like a lot of work, but its not. If you're doing less than I what I made then it shouldn't be too much. I just use the less expensive materials such as felt, and bought white embroidery thread to sew them up. I was planning to use a blank white felt circle for the logo, but I thought ohhhh! maybe go the extra mile and make it more detail. It was fun making them, I don't think for awhile now I will make another, maybe I will use paper next time. hahah. I hope this will make you think of something to give to some awesome person, for a friend, coworker whoever you think deserve a cute little thank you from you. I tried looking for the owner of this printable on Pinterest but I couldn't find the rightful owner. 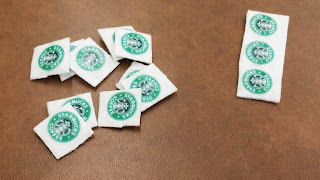 but If you look up "printable starbucks" that's where I found this gem. I found this on Pinterest, but there is array of printables found on web or Pinterest. 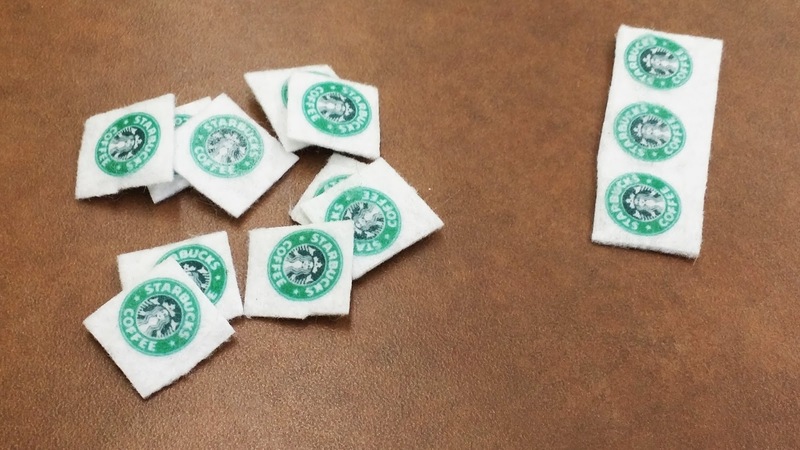 I found a link that I posted above an example of a starbucks logo. 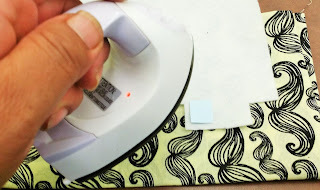 After you print your image onto light fabric transfer, I cut them out with scissors. 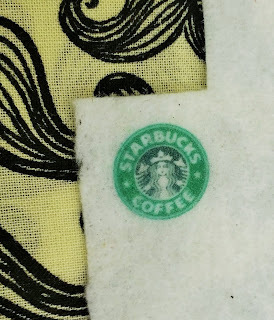 I used white felt, I used another fabric underneath so I wouldn't burn someone else's table. 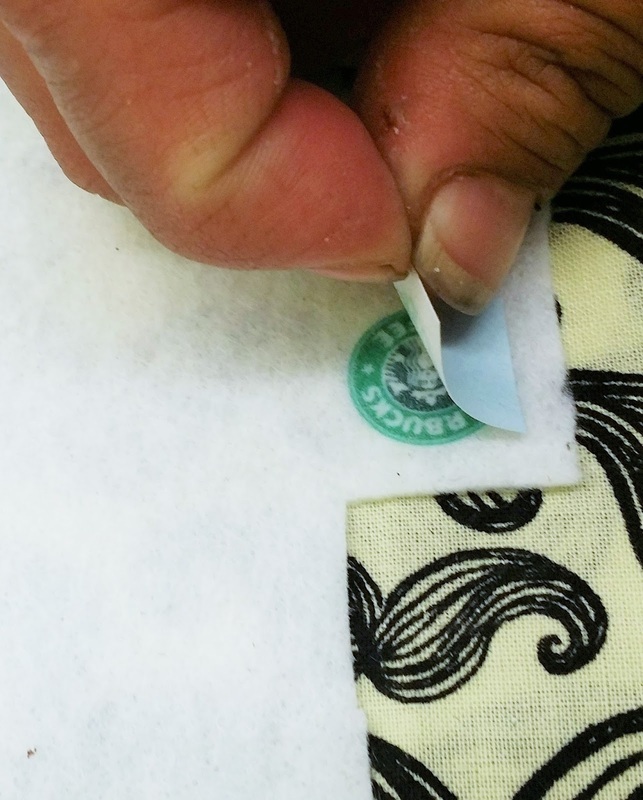 While still hot lift the backing and peel away, slowly making sure all the image had transfer on to the fabric. Finally, cut them out one-by-one. 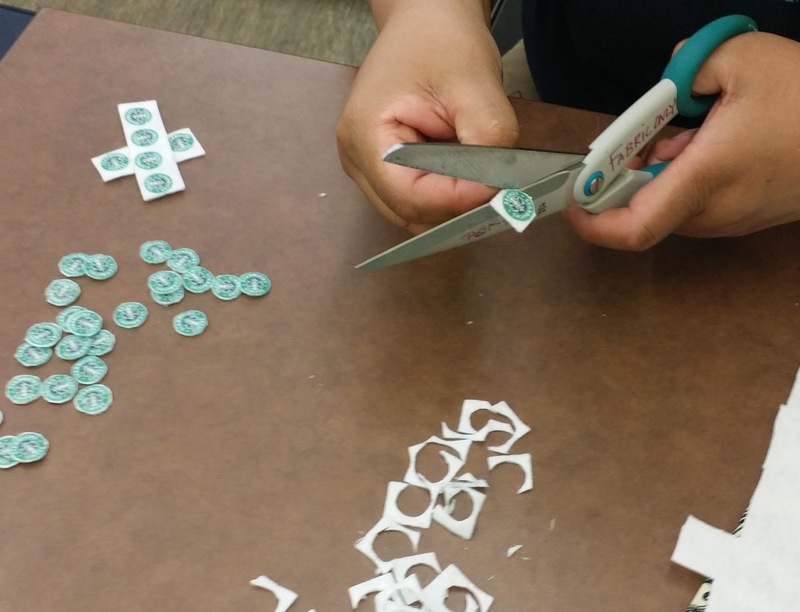 With a fabric scissors cut them out, this was a bit of time for me to cut all of em' out. But I did it! 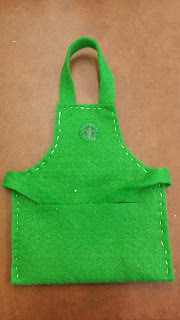 I actually iron the transfer right on to the green apron, can tell it didn't work on dark felt. 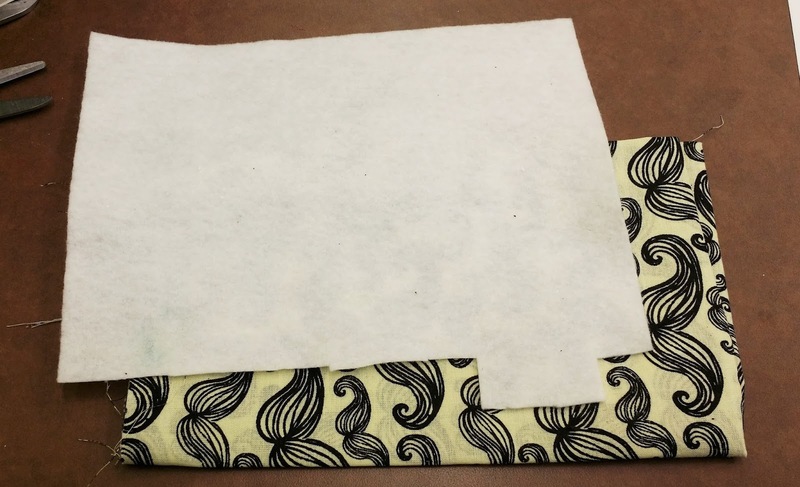 So make sure you're using the right transfer paper for the right color of fabric. So many, so many almost done. finally!!! this is how it looks, all by hand. It was well worth it. So cute I think. I hope you like this little idea, maybe go out and start thinking what to make for your awesome friend who deserve a little thank you from you.